Like most of us, Steve Alcorn got into AV by chance. Like perhaps few of us, however, he also became an engineer despite planning not to. “I became an engineer by accident,” he likes to say. He entered UCLA with designs of majoring in economics until he met his future wife Linda McBride. When she entered into UCLA’s School of Engineering, he transferred in and followed her. This isn’t to say he didn’t have proclivities in this field; in high school, he learned how to design audio circuits to create a mixing board for his rock band. But when Linda got a job as a Disney electronics project engineer at the then under-construction Epcot, the table was set for him to turn his own engineering interests—which by then included building computers—into a career. “I was brought in originally to work on the show controls for American Adventure, which was the most complicated show systems that they’d ever done at that point,” Alcorn said. After the park opened, Disney kept him on as systems engineer, and assigned him the task of repurposing the show system software he’d written to collect status on 30,000 monitored points throughout the park. “During the process of getting the monitoring system to work, a lot of the function of that system was to control the audio and video throughout the park,” he said. “And the audio and video in those days was sourced from laser discs—cabinets filled up with laser discs.” In addition, there were 24-track binloop tape machines, which his software would trigger to activate at different points as ride vehicles moved around attractions. “All this time, I was thinking of how we could bring some computer sophistication to the way that sound and video was used in theme parks,” he said. And in 1986, he founded Alcorn McBride and set out to accomplish that goal. The first product he developed at his company was the V16—designed to control racks of laser disc players without the need to write custom software—installed first at the Wonders of Life pavilion at Epcot in 1989. Two other products followed in the ‘90s: the Digital Binloop and the Video Binloop, and all three continue to be widely used today, in virtually all major theme parks and high-end museums. 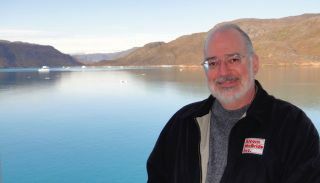 Alcorn doesn’t foresee himself ever completely retiring from the company, though he would have a lot to occupy his time if he did: he still composes and records music, is an author and writing instructor for both fiction and non-fiction literature, and enjoys wine tasting—to name just a few of his many hobbies. See all 2017 Hall of Fame Inductees here.